Larry has been a cow/calf and feeder operator for more than 35 years. He currently has 160 cows and finishes more than 200 head per year. Larry farms with his wife Marsha and their four children, their mixed farm includes cattle, sheep, forage and low-bush blueberries. 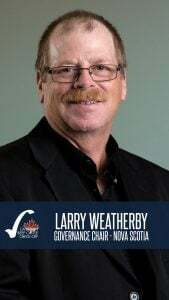 Larry was first elected to the Board of the Nova Scotia Cattle Producers in 2011 and has just started his third term, he has been Chair since 2014. Larry is a former Board member of the Maritime Beef Council and is a past member of the NS Federation of Agriculture. 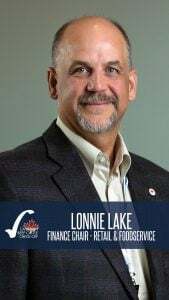 On the Agency board, Lonnie has represented the retail and foodservice sector of the Canadian beef industry since 2013 and has been the Finance Chair since 2015. As the current National Protein Procurement Manager for Sysco Canada, and with over 25 years in the retail business, Lonnie has a keen understanding of the opportunities for our industry to meet the changing demands of beef consumers. Lonnie, his wife LeaAnn, and their children Karlee and Evan, live in Brantford, Ontario. As the Marketing Chair, Mike leads a committee of skilled and experienced members in overseeing the strategic and operational oversight of Canada Beef, the marketing arm of the Agency. 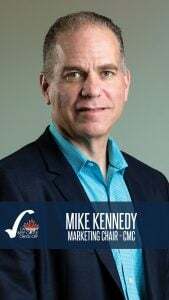 Mike has 25+ years experience with Cargill, is the Vice President Canada Sales based in Ontario, and is currently the Canadian Meat Council representative to the Agency. Mike has a very detailed understanding of global markets and what drives value and demand for Canadian beef.